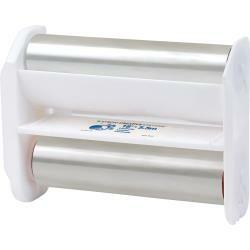 Make Laminated Stickers with permanent hi tack adhesive with this hard to find Combination Type Xyron 510 Cartridge. (5102-08-00ML) This is your cartridge choice if you are looking to put a nice glossy plastic cover on your stickers. Laminates the top, and puts a permanent acid free adhesive on the back of your item. 18 feet long. Planning a School Stock Up Order? Call us at 1-877-337-3476 to discuss Bulk Purchases, Shipping & Billing Options. Featuring Genuine Xyron Products with $5 Per Order Economy Shipping Option Since 1998!